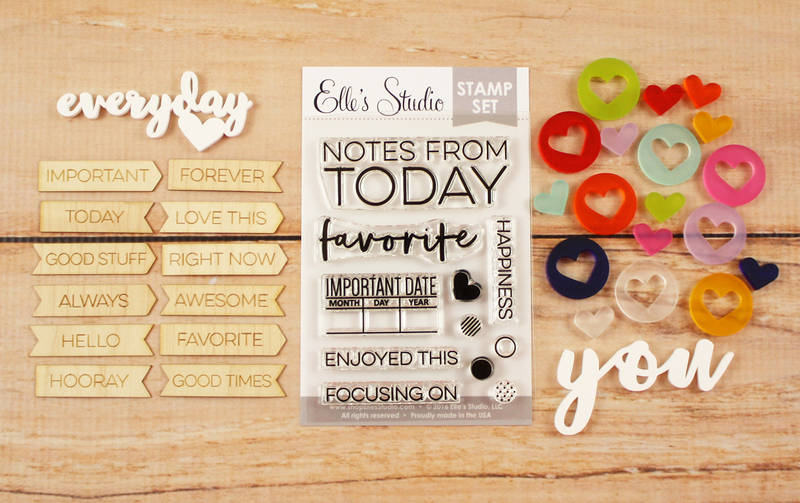 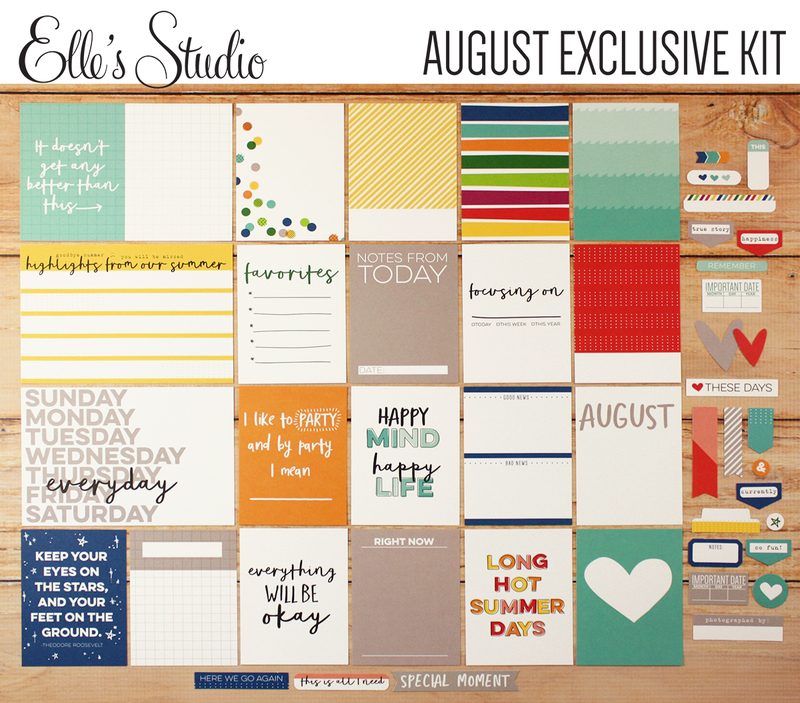 It's the 10th of the month and that means it's time for the reveal of the exclusive August Kit from Elle's Studio! 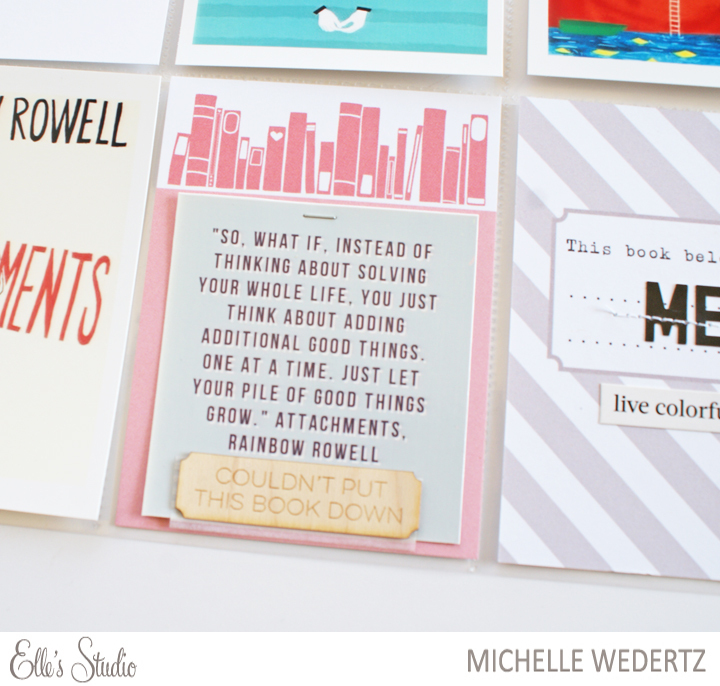 For this first layout, I pulled the color scheme from the cards included in the Read Collection-red, pink, turquoise, and navy blue-and found complimenting pieces from both the August Kit and the Sunny Days colleciton. 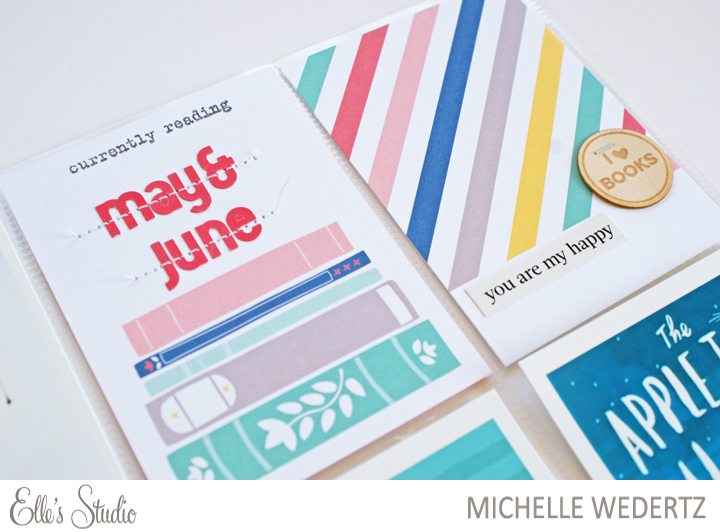 My favorite piece on the project is definitely the wood veneer books. 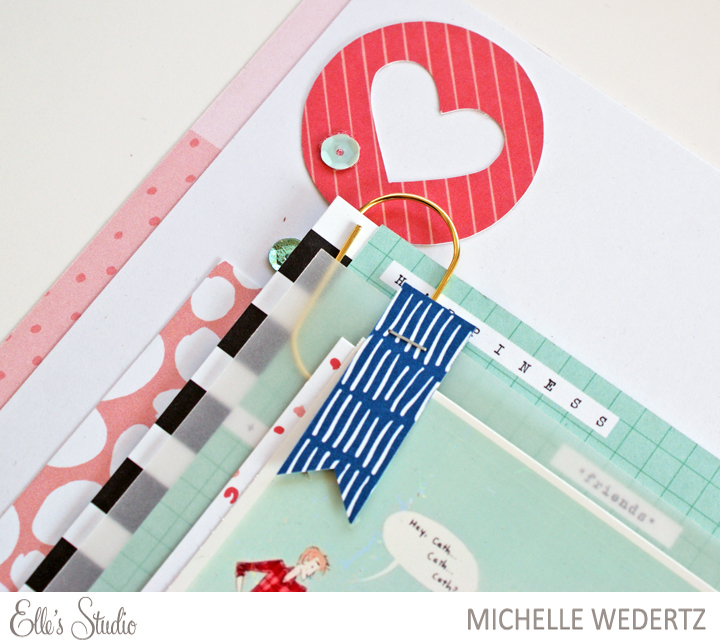 Next, I made a pocket page that could showcase some more of what I have read. 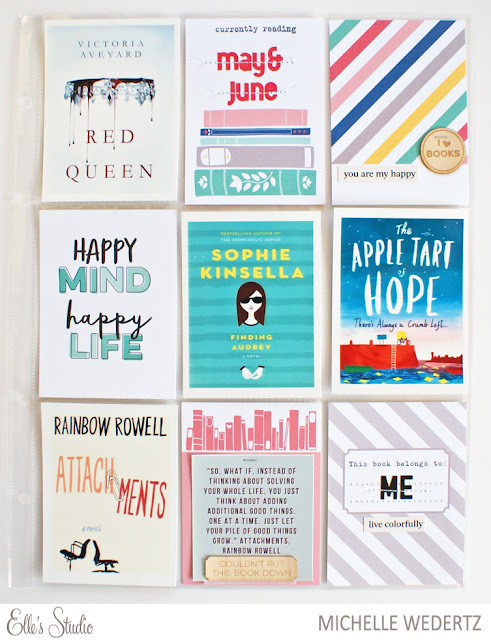 I relied heavily on the Read Collection, but was able able to work in the "Happy Mind Happy Life" journaling card from the kit because it really fit my book themed page. Remember, a new gallery is also live at Elle's Studio and I encourage you to head on over and take a look to see what the rest of the DT created!